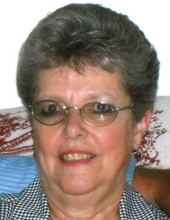 Judith (Worrell) “Judy” McCutcheon, 75, loving wife of William C. “Bill” McCutcheon of 808 Selma Blvd, passed away at her residence, Thursday, November 22, 2018, after a courageous two year battle with cancer. Mrs. McCutcheon was born on September 25, 1943 in Edgecombe County, North Carolina, a daughter of the late Andrew and Evelyn (Fuller) Worrell. Judy was a graduate of Whitakers High School, Whitakers, North Carolina, she was employed as a secretary by several businesses and a law firm. In 1977, she married her husband Bill and they moved to Staunton in 1996, where Judy became active with the America’s Birthday Celebration Committee. She was a member of Memorial Baptist Church and worked as housekeeper at Henry Funeral Home for several years. She loved her home, and along beside her husband they spent many happy hours together on home improvement projects, and working in their yard. Judy, with Bill by her side was an avid park walker and rarely missed a day until her declining health. In addition to her parents, Judy was preceded in death by a sister, Faye Chadwick of Virginia Beach, Virginia and two brothers-in-law, Bobby Chadwick and M.L. Chadwick. In addition to her husband of over forty-one years, Judy is survived by a daughter, Vickie Viverette of Staunton; two sisters, Vivian Chadwick of Rocky Mount, North Carolina, and Lynn Williams and her husband Henry of Nashville, North Carolina; and a number of nieces and nephews. A Memorial service will be conducted 11:00 a.m. Saturday, December 1, 2018 in the Coffman Funeral Home Chapel by Reverend Temple D. Myers. Burial will be at a later date in Thornrose Cemetery. The family will receive friends following the service or other times at the residence. In lieu of flowers, memorial contributions may be made to Augusta Health Foundation Hospice of the Shenandoah, Post Office Box 1000, Fishersville, Virginia 22939. The family wishes to extend a special “Thank You” to Dr. Rob Marsh, his staff, and the Augusta Health Hospice of the Shenandoah for their wonderful care which allowed Judy to remain in the home she loved until she passed. Coffman Funeral Home and Crematory, 230 Frontier Drive, Staunton is in charge of her arrangements. To send flowers or a remembrance gift to the family of Judith Ray (Worrell) "Judy" McCutcheon, please visit our Tribute Store. The family will receive friends following the service or other times at the residence. Burial will be at a later date in Thornrose Cemetery. "Email Address" would like to share the life celebration of Judith Ray (Worrell) "Judy" McCutcheon. Click on the "link" to go to share a favorite memory or leave a condolence message for the family.